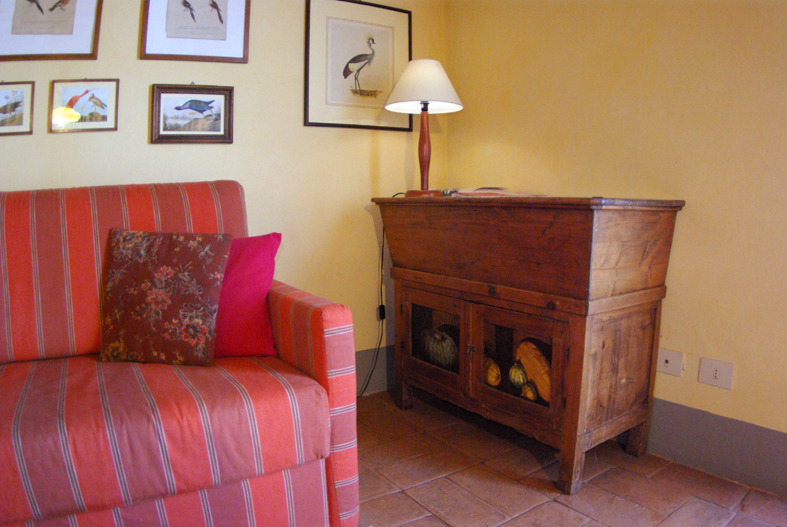 At the ground floor of the farmhouse Gazza apartment is 45 sqm with a living-room and equipped Kitchen corner, a sofa-bed for two people, one double bedroom with ensuite bathroom with shower. 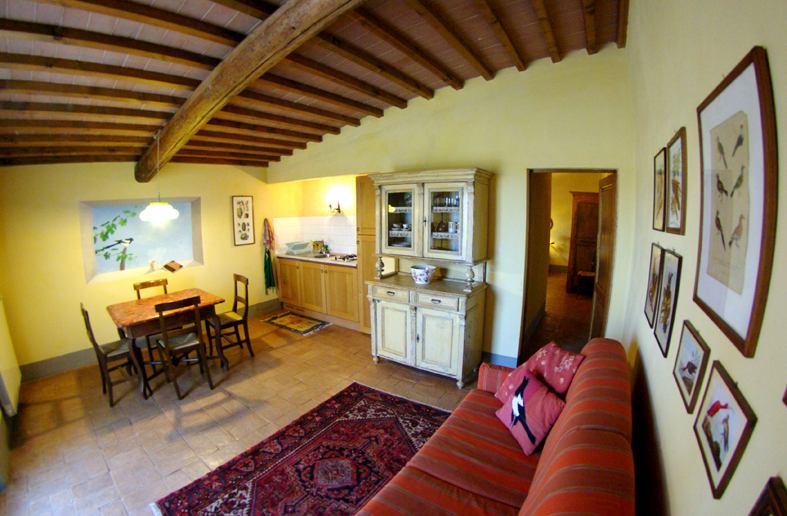 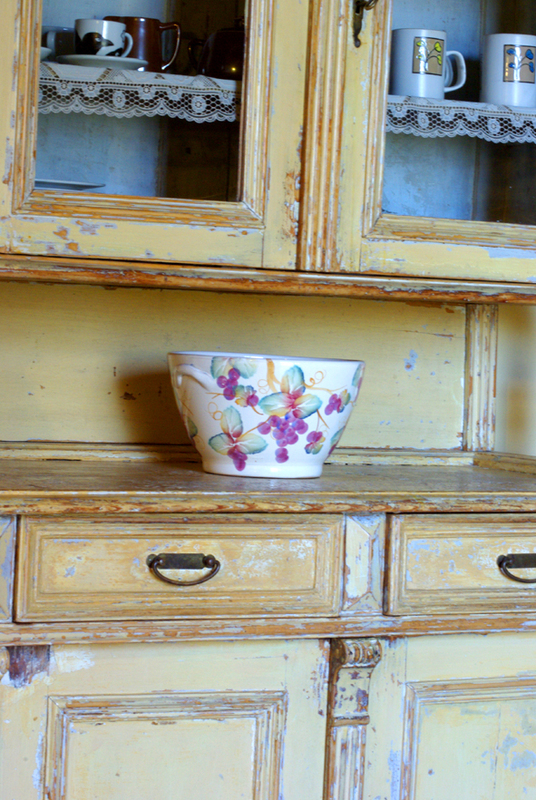 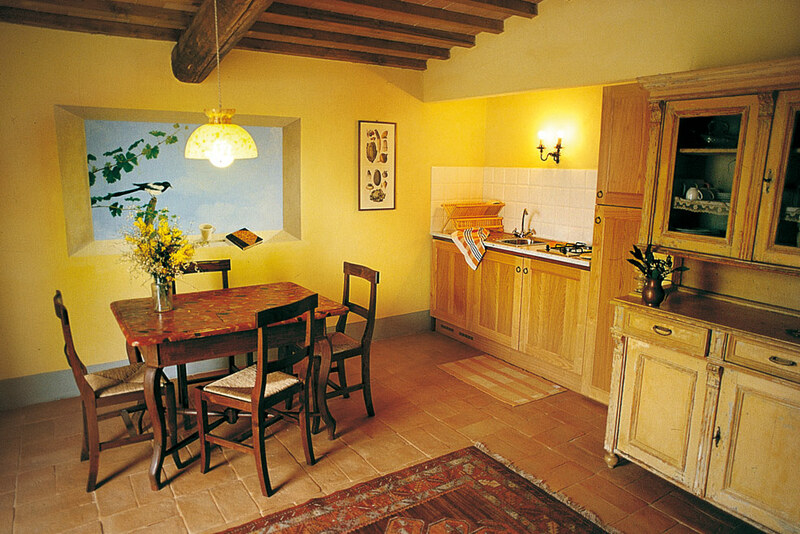 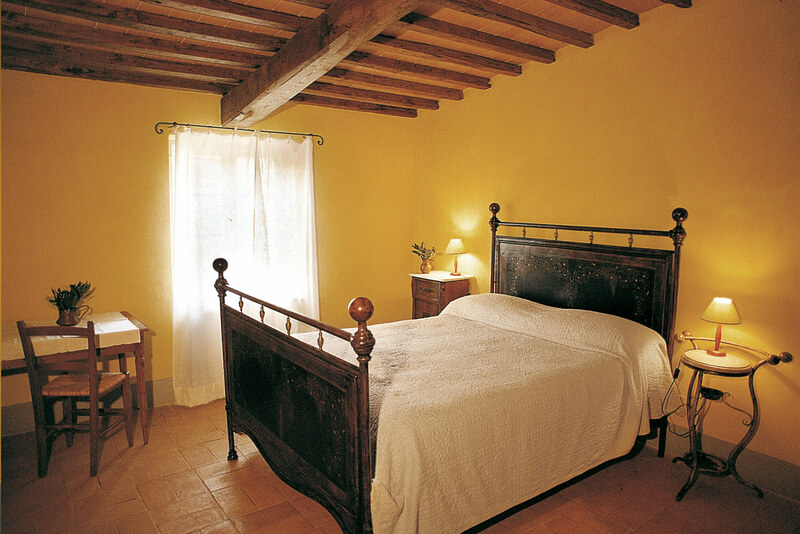 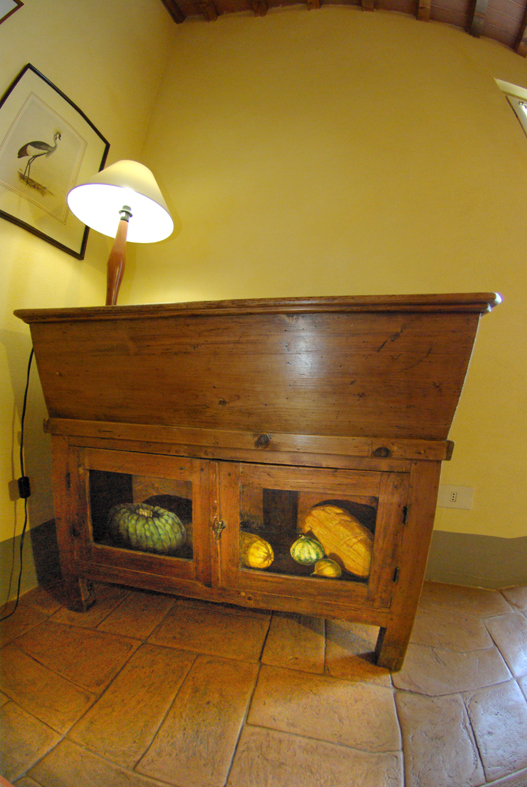 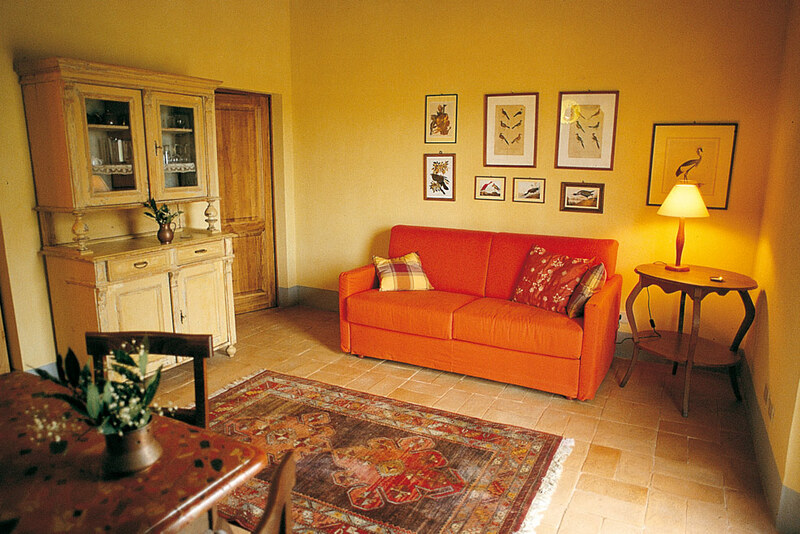 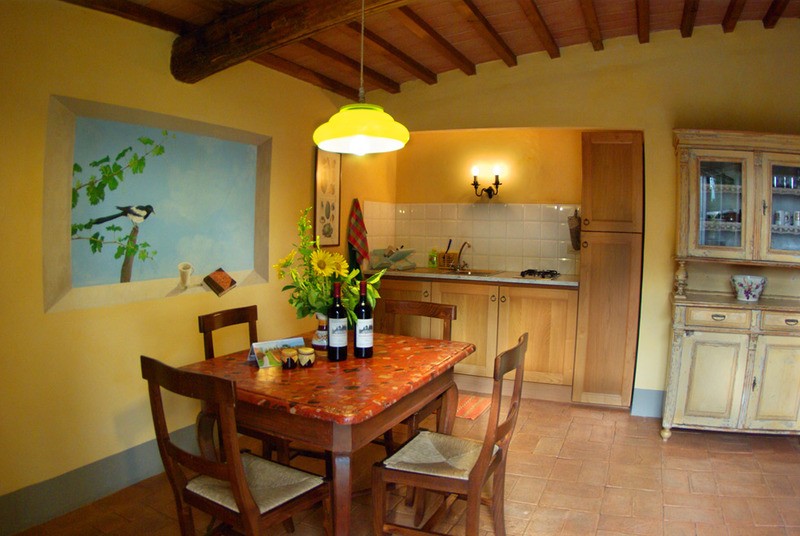 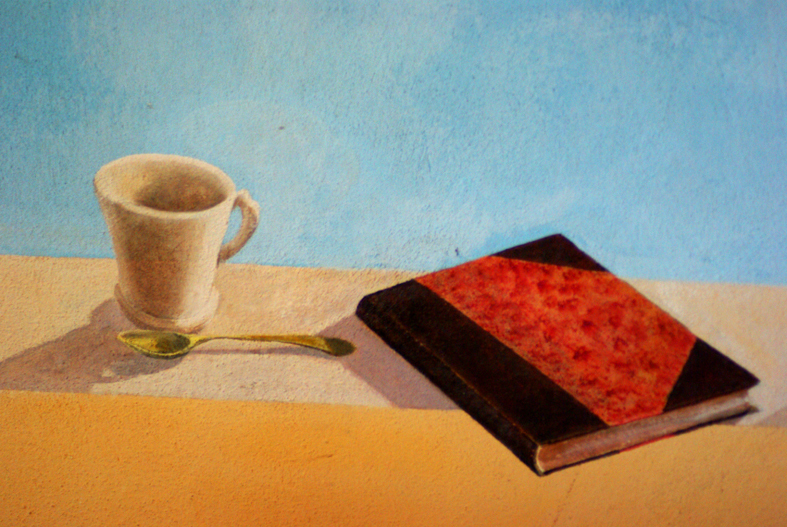 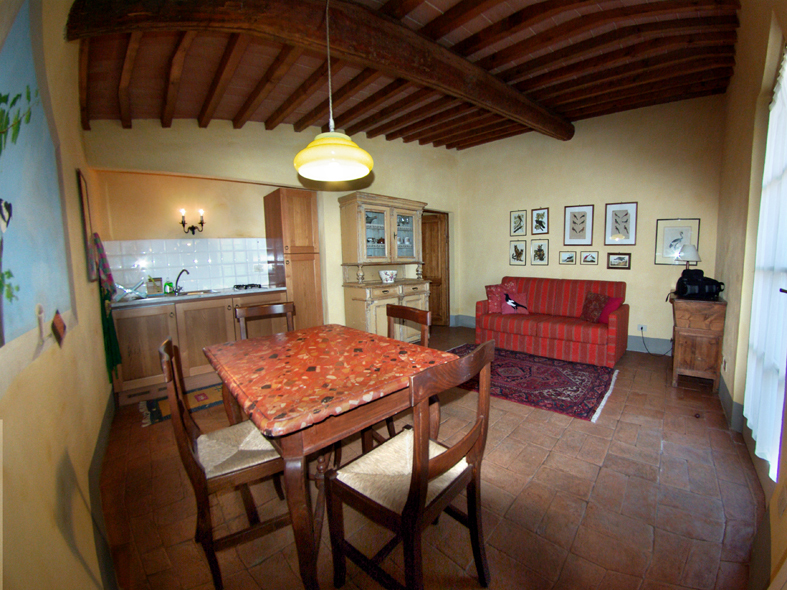 Like the other apartments Gazza apartment is characterized by typical old tuscan furniture from the family. 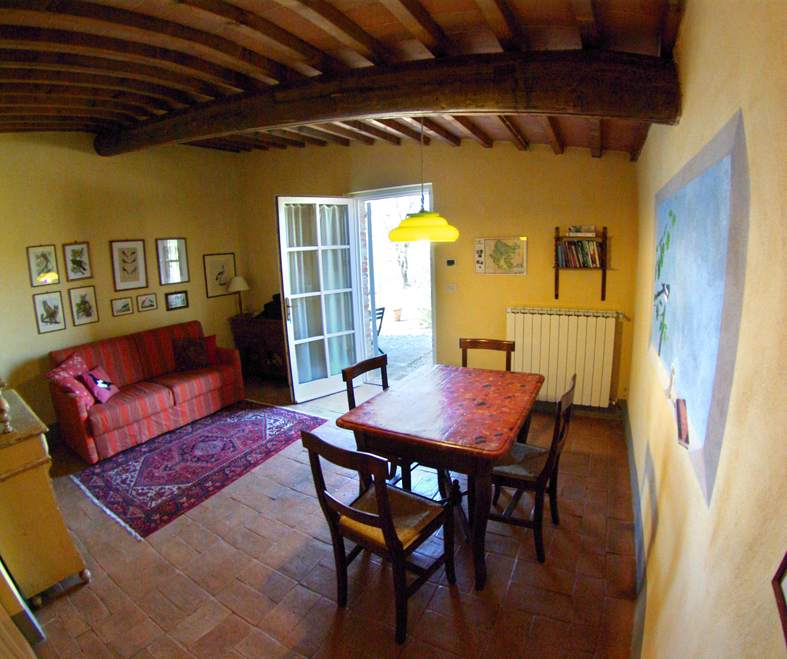 Outside the apartment there’s a private table and barbecue to eat outside with the panorama of vineyards and hills.